West Memphis is the largest city in Crittenden County, Arkansas, United States. The population was 26,245 at the 2010 census, ranking it as the state's 18th largest city, behind Bella Vista. It is part of the Memphis metropolitan area, and is located directly across the Mississippi River from Memphis. 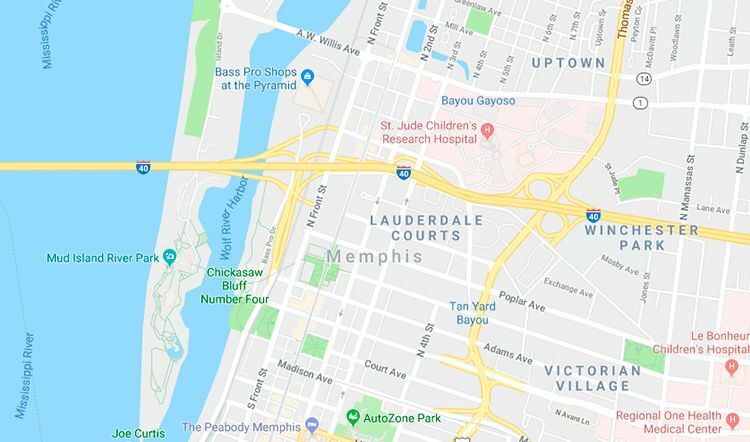 According to the United States Census Bureau, West Memphis has a total area of 28.5 square miles (73.9 km²), of which 28.5 square miles (73.7 km²) is land and 0.077 square miles (0.2 km²), or 0.34%, is water. As of the 2010 United States Census, there were 26,245 people residing in the city. The racial makeup of the city was 63.3% Black, 33.7% White, 0.1% Native American, 0.4% Asian, 0.1% Pacific Islander, 0.1% from some other race and 0.8% from two or more races. 1.6% were Hispanic or Latino of any race.